Last week we visited Lene Rasmussen in Wainfleet to pick up several varieties of willow for planting. Back on the farm, we are preparing the ground, making cuttings and getting ready to plant our first basketry willow fields at The Branch Ranch. 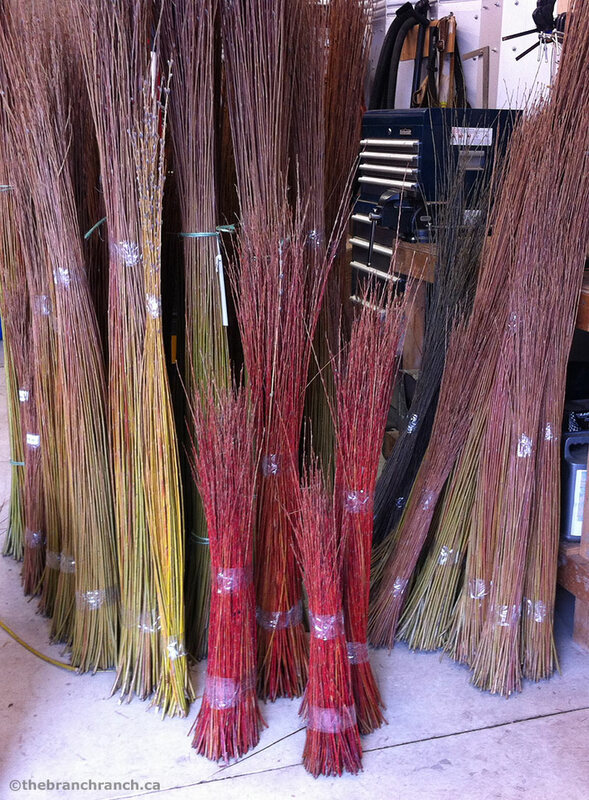 Colourful bundles of graded willow in Lene's workshop. Willow graded by size and variety ready for bundling. Our willow workshops in 2014 with Lene are filling up fast! The Bird Feeder class has been so popular we have offered a second class on August 19-20. We still have one spot left for that class and four spots left for the Garden Globe class on August 23rd. 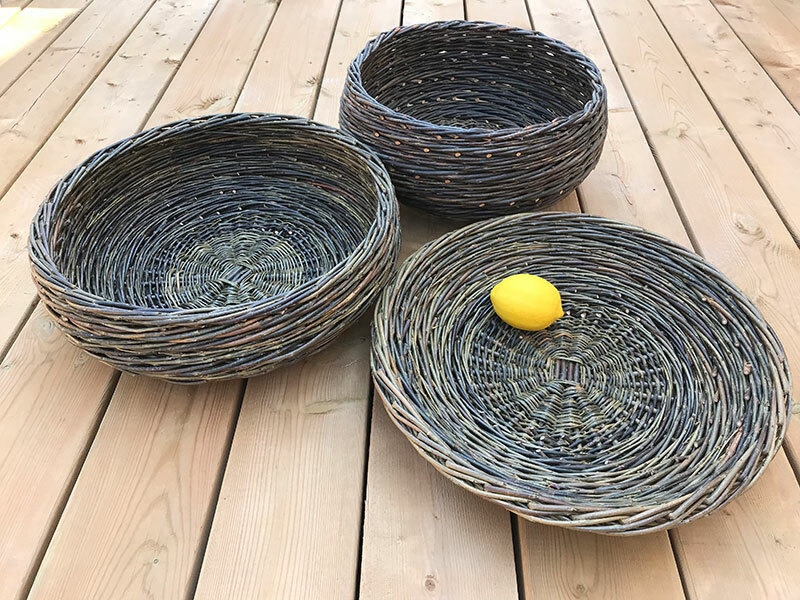 Detail of Lene's Tatza Basket.